Home NEWS Kolomý Ranks Fifth without Clutch! Kolomý Ranks Fifth without Clutch! Martin Kolomý had to struggle with technical issues in the course of stage eight again. However, he managed excellently and reached the finish ranking fifth. Now “mere” two hours keep him off the Top Ten. Martin Šoltys ranked twelfth and moved up one rank in the overall ranking. Martin Kolomý had to struggle with technical issues in the course of this stage again. Despite them he finally managed the fifth rank. “The marathon stage was beautiful. Tracks like this are what I like. In the first half dust got into my clutch and big problems began. We are glad to be in the finish. We also left the track now and then, sometimes it was great fun. 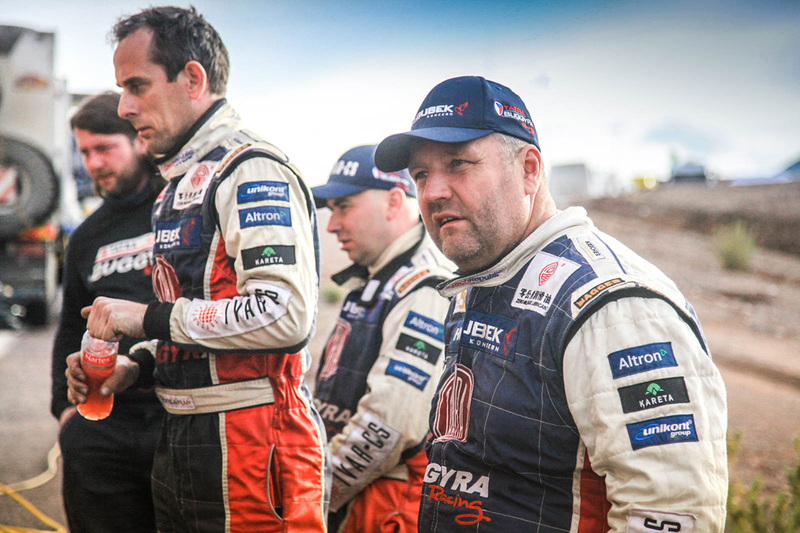 The organizers really made a nice stage for us,“ said Martin Kolomý in the provisional bivouac. “This stage today began very well, we had a perfect drive, only towards the end of the first part our technology began to strike. We tried to repair the issue but in vain. I must appreciate how Martin is able to cope. To drive nearly 300 km without the clutch is not what everybody is able to do, and to end with the fifth rank on top of that. I rise my hat to him,“ praised Jiří Stross his team mate. 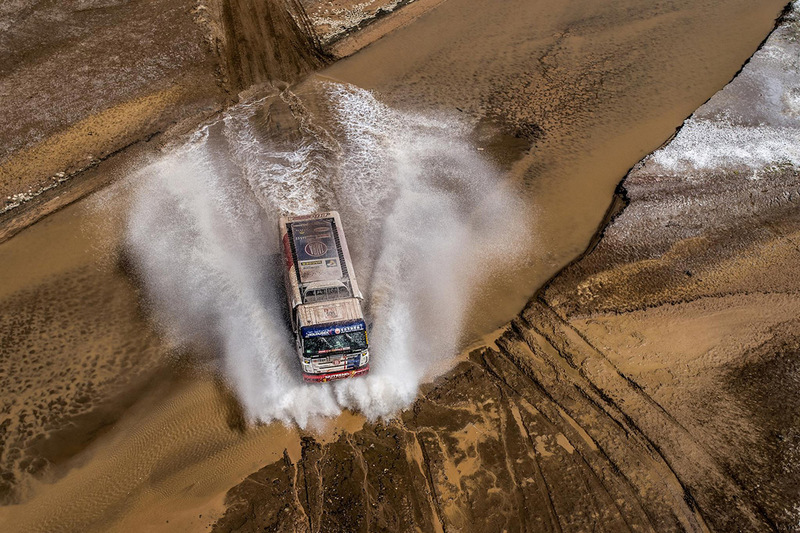 “Unfortunately, the bivouac is under water here, so it is closed- thus we drive directly to Salta for stage nine is cancelled because of the rains,” he added. 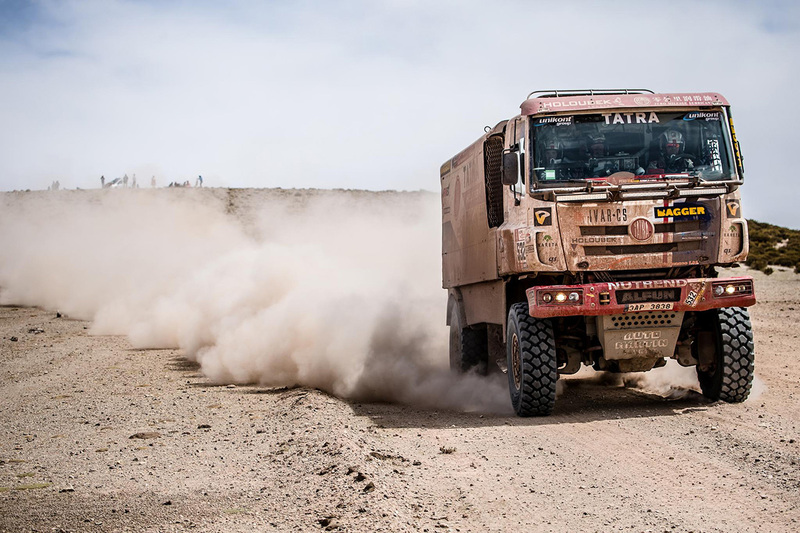 Martin Šoltys finished the second part of the marathon stage with twelfth rank and in the overall ranking he is even one rank higher. “So today it was quite good and quickly over. We had no serious issue, only the clutch booster did not work well, so I had to apply force to change gears. My hand is a little painful after that, but the rest is all right,“ was the comment on stage eight by Martin Šoltys. 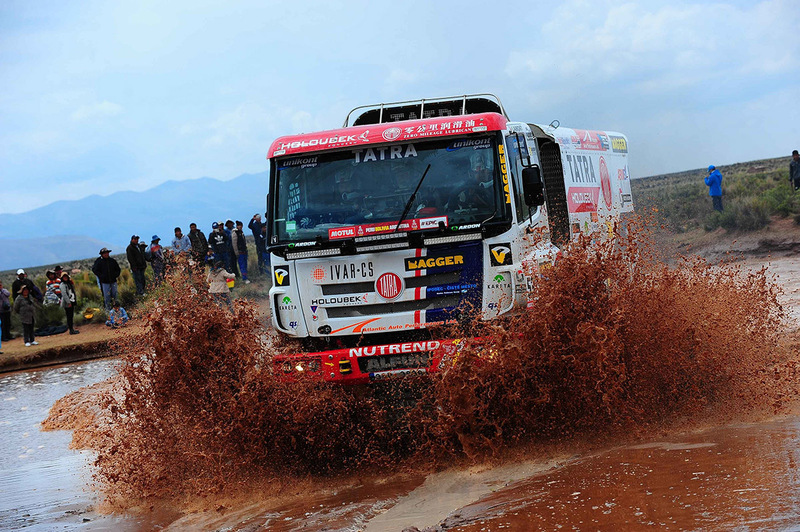 The weather in Bolivia decided about the progress of the race again and stage nine had to be cancelled. “Yesterday there was some big storm here which flooded the bivouac. That is one of the reasons why stage nine is cancelled. 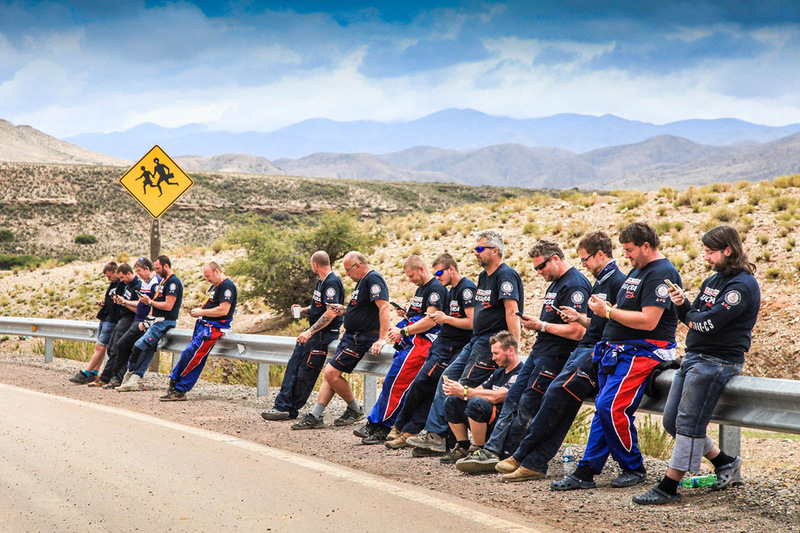 Another reason is that there is a flooded bridge somewhere on the way to Salta and there is no way to get there, so the organizers look for an alternative route,“ comments the team manager Jan Kalivoda on the problems with the route.